Timebased Events is a creative live events company that specialise in inspirational design and cutting edge production. 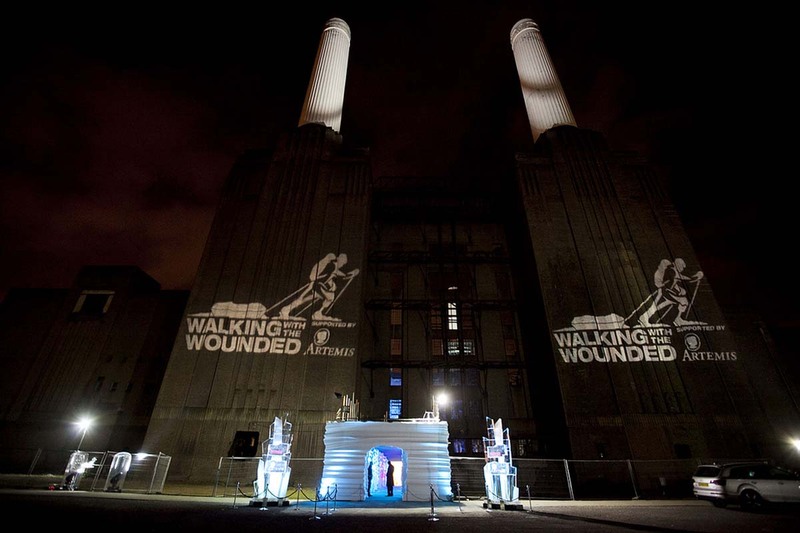 When they produced the Ice & Diamonds Ball for ‘Walking with the Wounded’ charity, Battersea Power Station was transformed into a winter wonderland for one special evening. The event was a fund raising send-off party for a team of four wounded soldiers who were about to begin a grueling expedition to reach the North Pole. 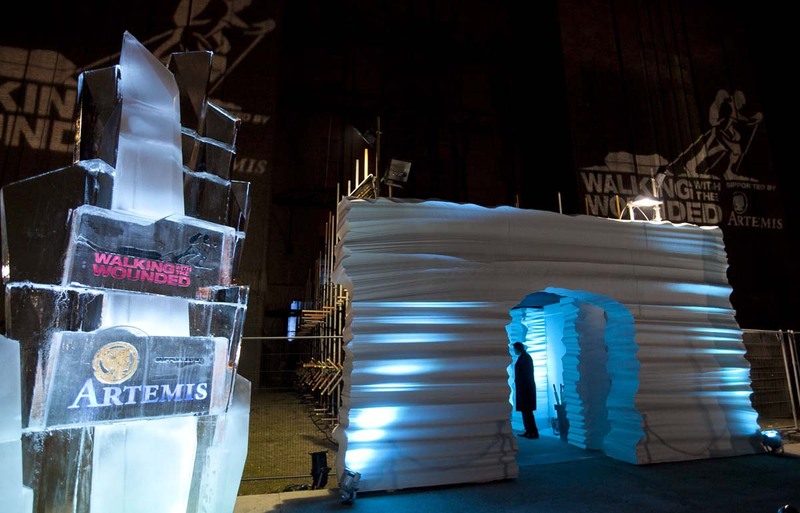 When we were asked to help transform the Station’s Boiler House into a chic ice cave for this exclusive event we were delighted and saw it as a challenge. We quickly realised to achieve a wow factor at that scale; we would need enough fire retardant polystyrene blocks to fill a 60ft articulated lorry. 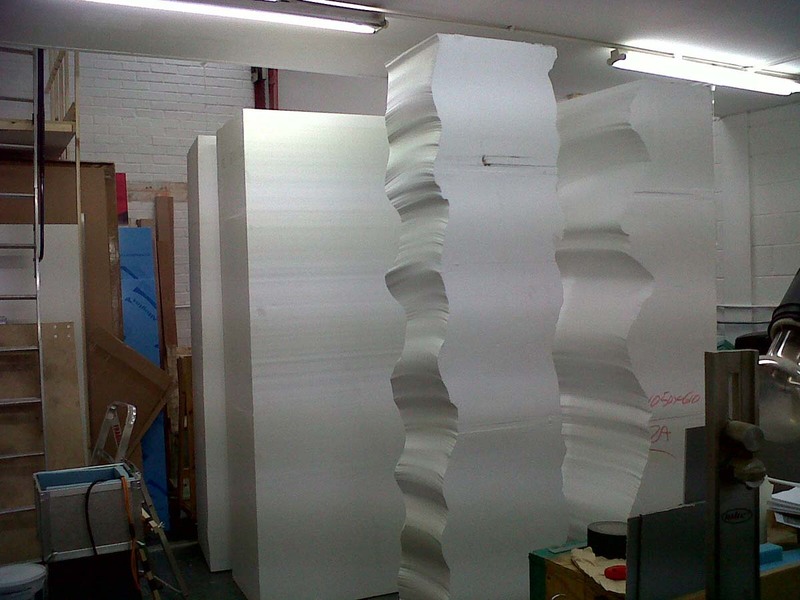 Each block, that stood 8ft tall, had to be carefully carved using hot wire cutters and then seamlessly blended to give an atmospheric ice cave effect. The result was a stunning 7m x 5m grand entrance arch and a 30m tunnel creatively lit using coloured spotlights. And by using lights to create the coloured walkway, the polystyrene blocks remained unpainted allowing them to be recycled once the event was over. The finished piece took three people one and a half days to install. The event attracted over 500 high profile supporters and sponsors with celebrity guests such as Zara Phillips, David Bailey, Rob Brydon and Yasmin Le Bon gracing the white carpet. The evening was a huge success with £220,000 raised for the brave servicemen and women who continue to protect our country!